Foundation for Democratic Youth - DIA: Call for GYSD 2011 Country Partners! Call for GYSD 2011 Country Partners! Do you believe in the power of young people? Do you agree that they are our future? Do you think that their efforts deserve appreciation? In that case, join Global Youth Service Day 2011, a day when youth service is celebrated all around the world! The Foundation for Democratic Youth, the Regional Partner for Western Europe is now looking for Country Partners to make this year’s event the biggest ever in Europe. GYSD is an annual campaign that celebrates and provides the chance for millions of children and youth to improve their communities through service and service-learning. Established in 1988, GYSD is the largest service event in the world, the only one dedicated solely to youth engagement, and is now celebrated in over 100 countries. On GYSD, children and youth address the world’s most critical problems in partnership with families, schools, community and faith-based organizations, businesses, and governments. 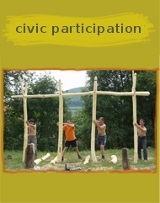 GYSD 2011 is going to take place on April 15-17, 2011. - Register projects on the interactive map at www.gysd.org. - Issue a regular newsletter. As Regional Partner, the Foundation for Democratic Youth can not offer financial support for Country Partners. However, Youth Service America, the global coordinator of this event will have a number of small grants to help realize projects. All Country Partners will have the necessary information on how to apply for these grants as soon as they are available. 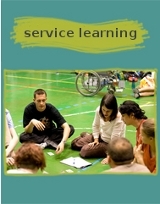 Global Youth Service Day is an ideal way to promote youth service in your country. Moreover, the fact that 2011 was assigned to be the European Year of Volunteering will probably generate an extra level of interest which can contribute to creating a significant level of attention for the positive contributions young people make every day. 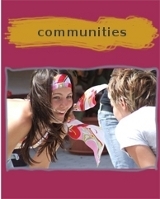 Such attention can be beneficial to youth groups, communities, but also to the participating organizations themselves. For more information, write to lang.zsofia@i-dia.org.